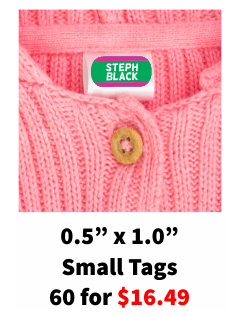 Just peel and stick these stick on clothing labels to garment care tags and brand stamps. Laundry safe and laminated so they're super tough. These stick on labels won't fade or crack like other brands! 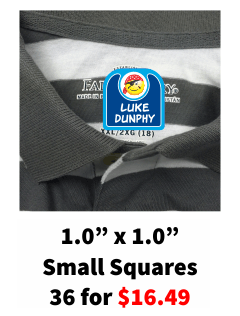 And a huge bonus, these personalized stick on clothing labels can be used on hard surfaces too. 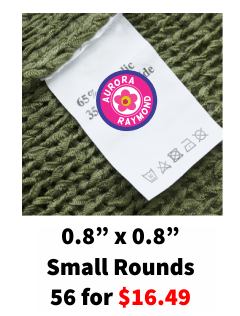 Our stick on clothing labels are laundry safe and waterproof. They'll hold up wash after wash! Laminated so they're super tough and no tearing. No fading, no cracking, we promise! We promise you'll love our labels or your money back!